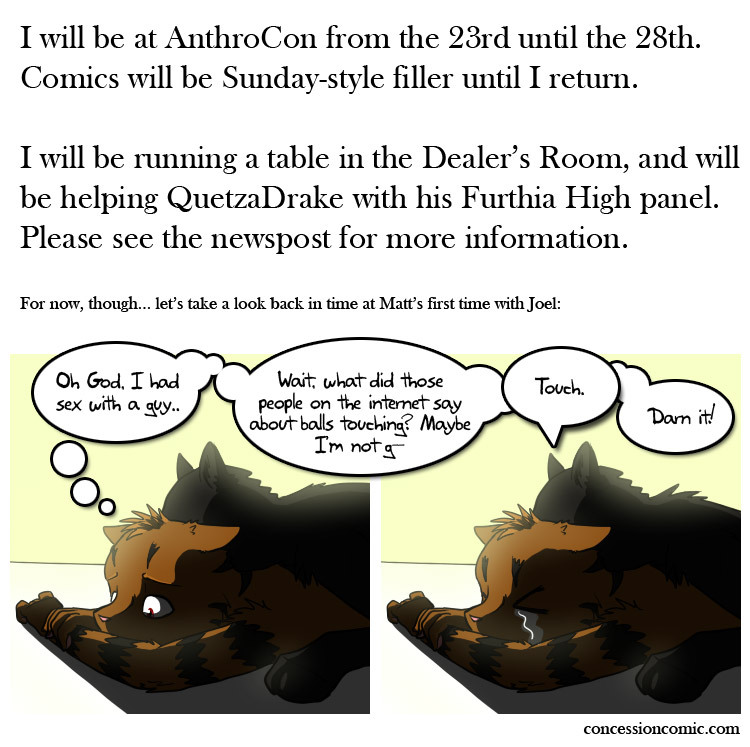 Reposted from FurAffinity: I will be at AnthroCon from Wednesday until Monday night. My room is in the Westin but don't expect any room parties. I will be selling things at a table in the dealer's room. Quetzadrake will be there too some of the time. It will be all that is in my online store, plus a few new products, like posters and some new bookmarks. Here's a map of the Dealer's Room - my table is C08. Twiggy is running a panel about Furthia High and I will be co-hosting. It takes place at 3PM on Friday in the Westmoreland room in the Westin hotel. When not at my table, I'll probably just be floating around the hotel with my circle of furries. Not entirely sure where we'll be eating most of the time. Are you bringing a video camera to the con? Please let me know if you are, I'd like to get a lot of cameras to use for the FH panel.